Today I'm collaborating with the nicest group of bloggers to bring you some white pant inspiration. I think you're technically "allowed" to wear white bottoms and white shoes from Memorial Day to Labor Day, which I personally think is crap! 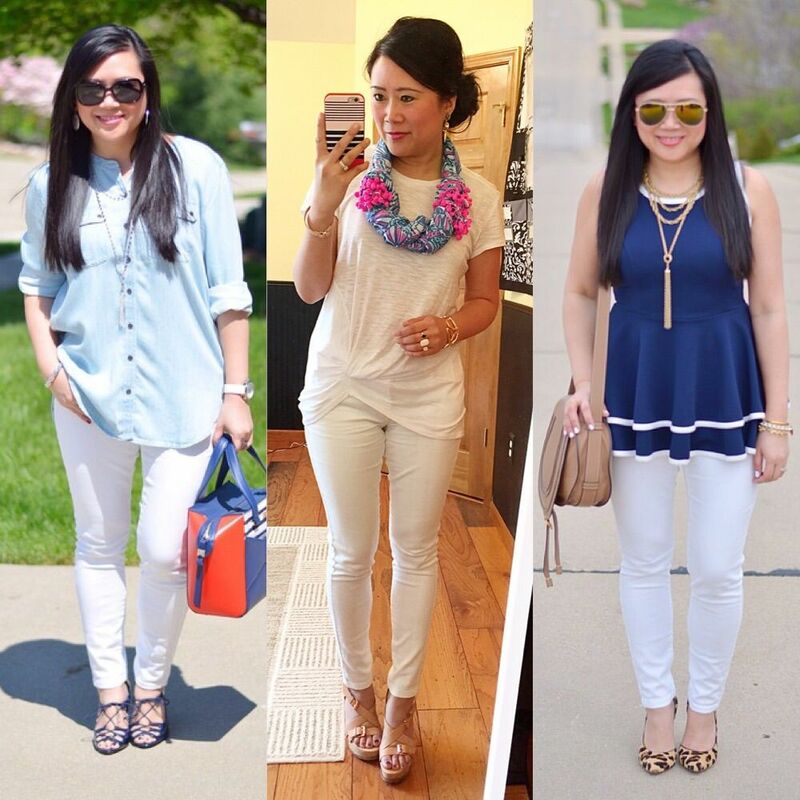 I could not live without a pair of white skinnies year round! If you look through my RemixFix2015 recap, you'll find several ways I styled them in the winter. I've already worn them a few times for the warmer months, but wanted to bring you something new! And nothing says 'spring' better than mint and coral. Honestly, it's hard to come up with anything that couldn't possibly pair well with white bottoms. I know the challenge can be finding a pair that isn't see through. My go to pairs are from Express and American Eagle. And yes, that is "pairs" (multiple) since one pair just isn't enough! They get a ton of wear. Shoes can also trip you up a little bit because everything can seem like they would be too harsh right next to the large field of white. But as long as you can balance out the color with whatever you are wearing on top, you should be fine. 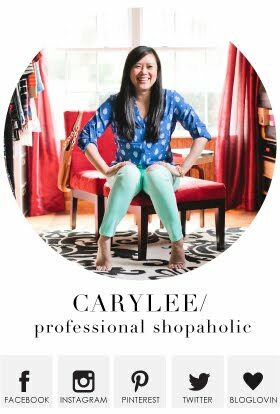 I say that though, but I also love pairing a contrasting color of shoes with my white bottoms to make more of a statement. The possibilities are endless, I tell ya! 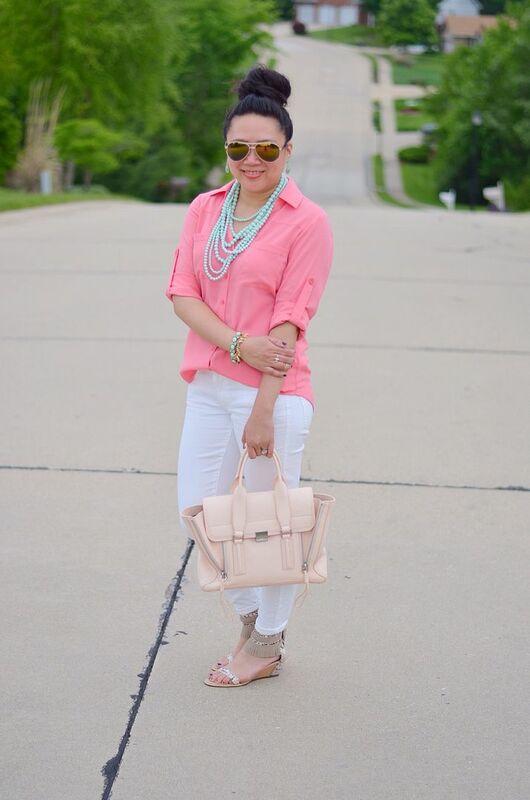 Perfect spring color combination - love it! 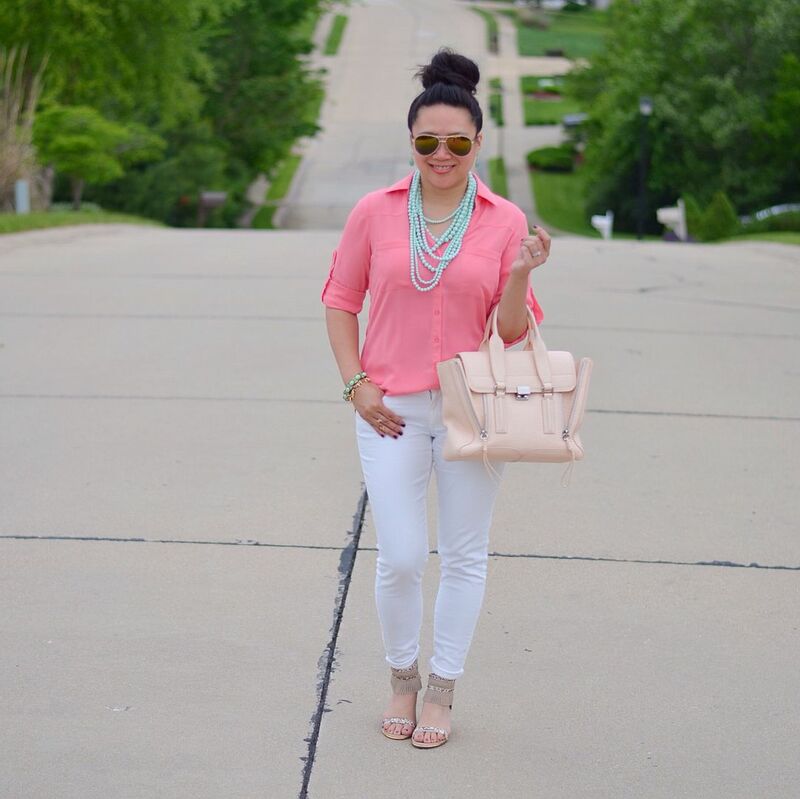 Love your look I need some mint jewelry to go with all my coral tops and those shoes SWOON!!! Yes, for sure! Turquoise would be perfect as well! And I'm pretty sure everyone needs these sandals. 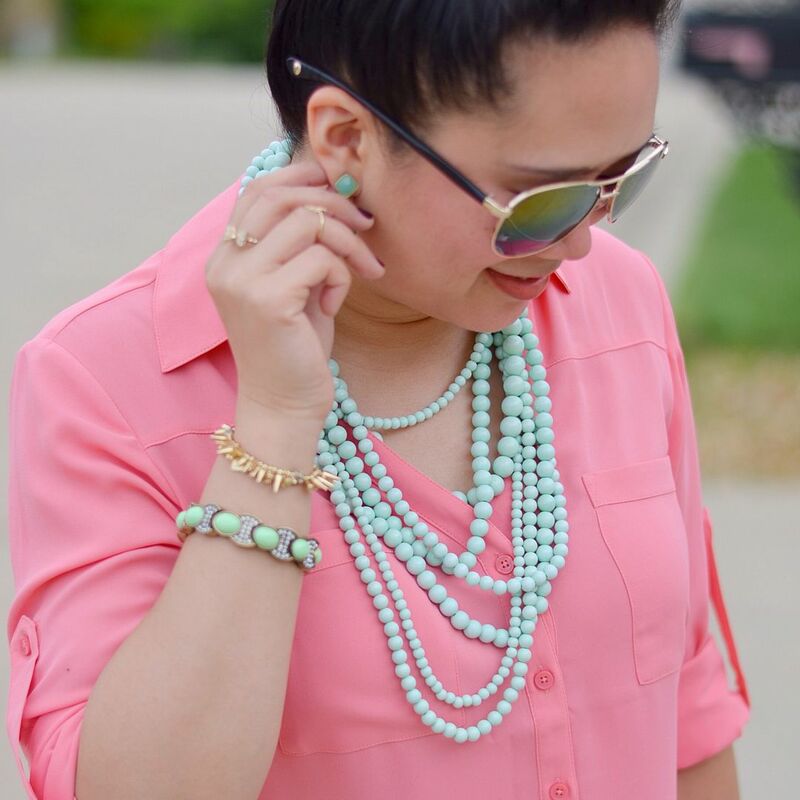 Love mint and coral together! The color of this porto is spot on! When you see them in store its so hard to know what is what...and lately, all the colors I've wanted haven't been in stock in my size, urgh!! Oh well, that means it simply wasn't meant to be.....however, seriously contemplating the zipper cardigan from Nordies (struggling with what color though)...great price and it looks edgy yet cozy! I definitely recommend the cardi! For sure for sure! I'm debating on getting one of the other stripes!! Eeeee! The struggle! LOVE all those fun, bright colors! And those sandals are now on my must have list! I definitely recommend them! The little wedge is perfect - a little height but still ridiculously comfy! Hello adorable fringe sandals!!! LOVE those!! And you tempt me to sell my current coral Portofino and buy this one instead! It is SO pretty. Love it with the mint necklace too! But! I have no idea what color this portofino is! Ha! And I love these fringe sandals. You definitely need them. These fringe sandals are so fun!! Love the pink and blue combo. 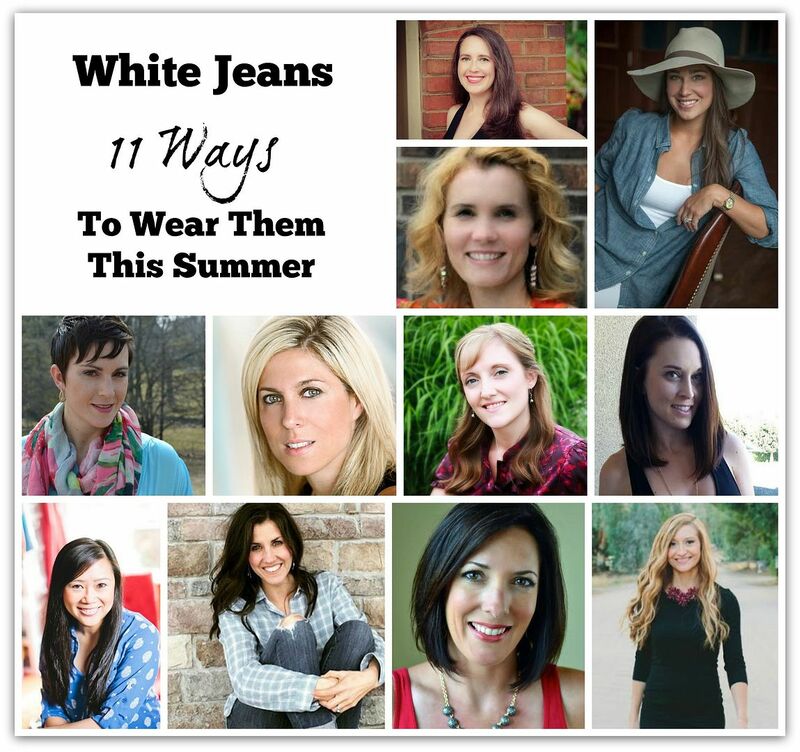 I am wearing my white jeans on the blog today too. So pretty! I love the pairing of the mint and coralish/pink. Gorgeous my friend. I love the pink with mint!!! That POP of pink in GORGEOUS!!! 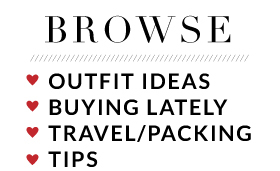 Yes, boo to that made up rule of only wearing white from Memorial Day to Labor Day! I'm wearing my white jeans today! I love the pink and mint combo. I agree with you. Who came up with the "rule" that you can't wear white all year around? Rules are there to be broken anyways, lol. Thanks for sharing at Thursday Favorite Things! Hope to see you again this week!